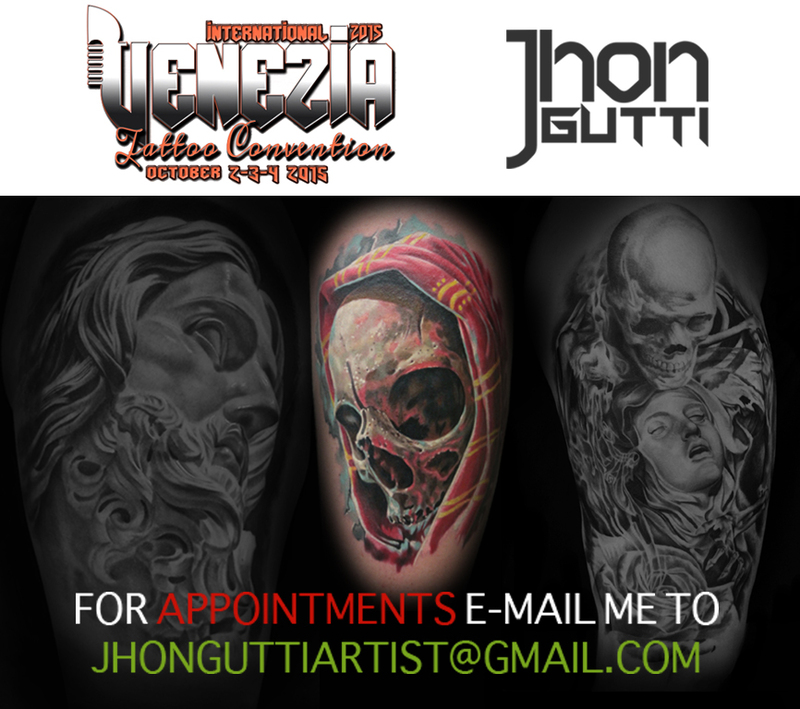 I'm stocked to announce that I'll be attending the VENEZIA INTERNATIONAL TATTOO CONVENTION this coming October 2-3-4. 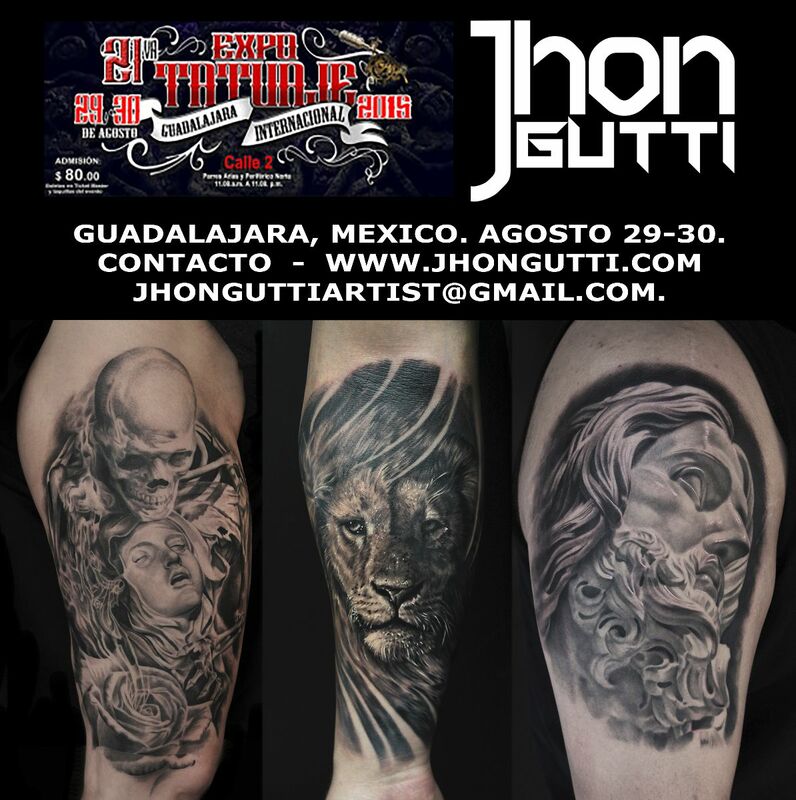 If you want to get an appointment for the event, please contact me at jhonguttiartist@gmail.com. 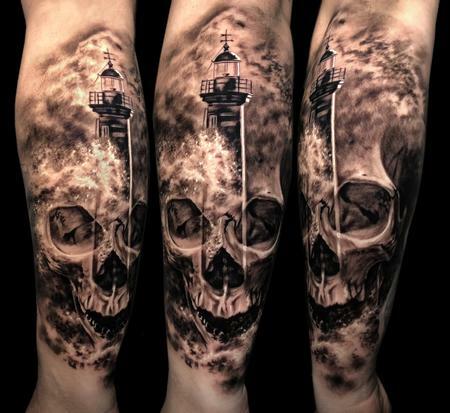 I would love to do some realistic tattoos, animals or skulls would be great, but I'm open to your ideas. See you there !!! GUEST SPOT OFF THE MAP TATOO - GRANTS PASS, OR. 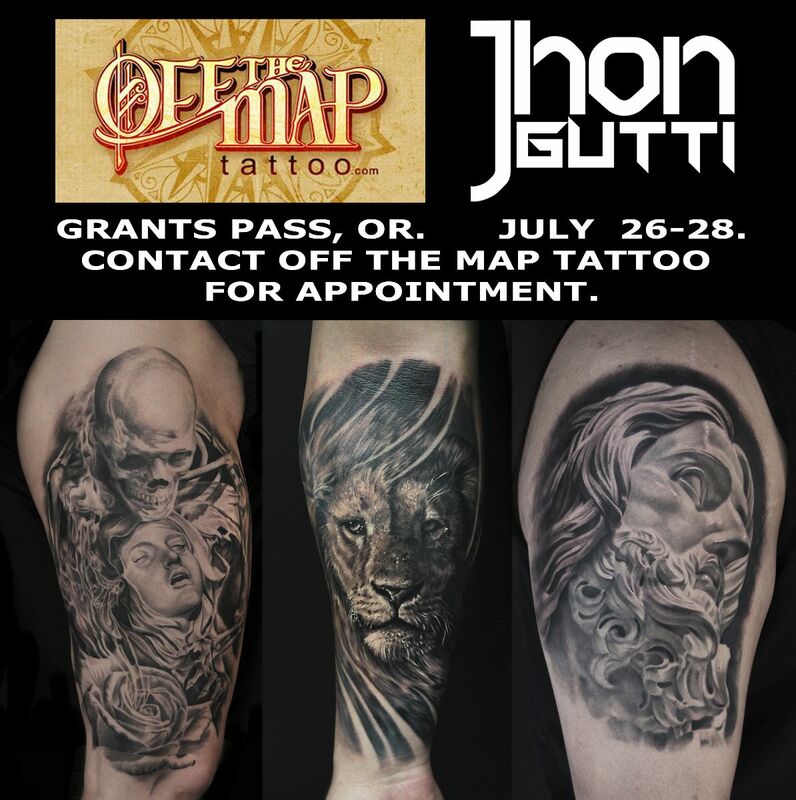 So excited and honored to announce that I'll be doing a guest spot this July 26-28 at OFF THE MAP tattoo, Grants Pass, OR. 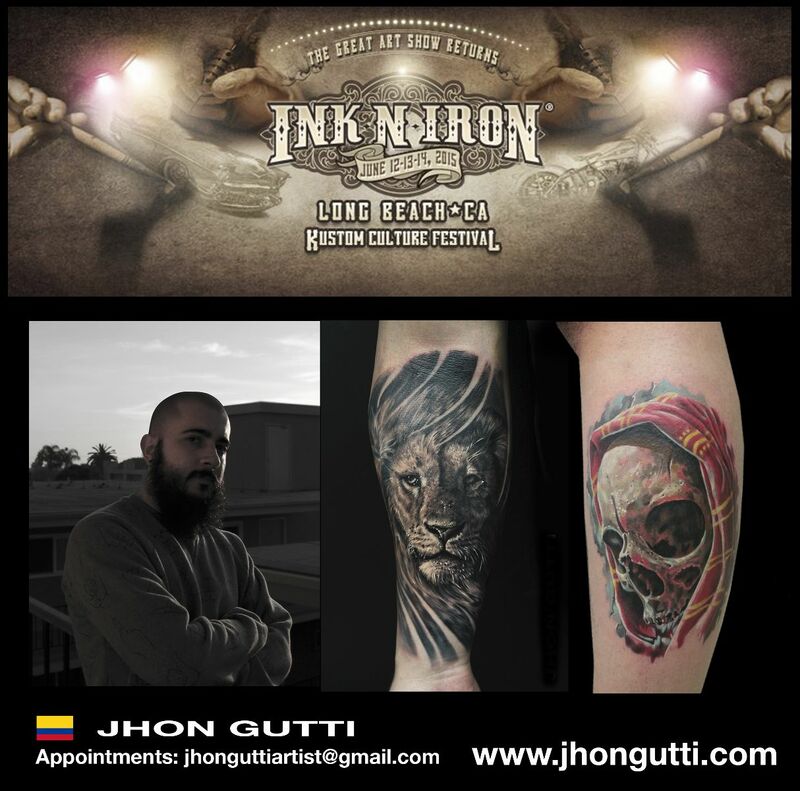 Feel free to contact the shop or visit their website www.offthemaptattoo.com for any inquiry, or thru e-mail jhonguttiartist@gmail.com. 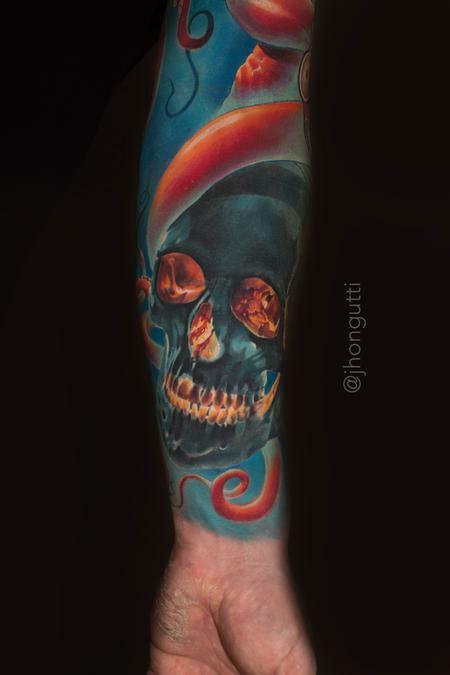 Estare atendiendo la Expo Tatuaje de 2015, para cualquier solicitud y cita, contactarme a traves de mi sitio web o mi correo jhonguttiartist@gmail.com. Nos vemos pronto Carnales !!! 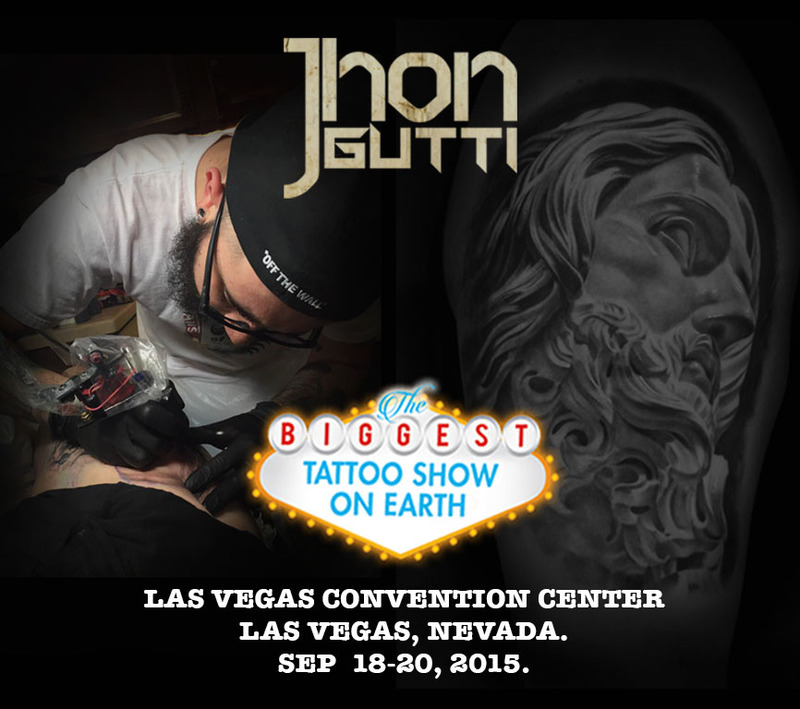 I'll be attending THE BIGGEST TATTOO SHOW ON EARTH this year at Las Vegas Convention center, Nevada, September 18-20. 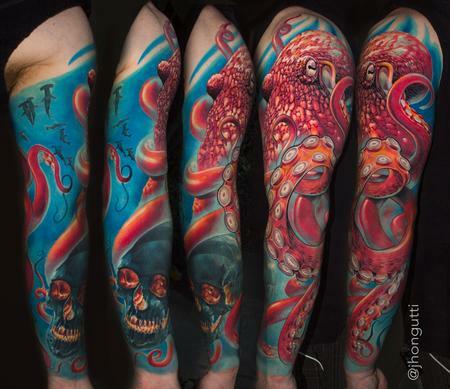 This time I'll do a collaboration tattoo with a good friend of mine from Colombia, Nestor Palacios; it will be a great experience. If you want to get tattooed on the event, I still having an opening for the last day, don't hesitate in contacting me for any inquiry. I would love to do some realistic tattoos, animals or skulls would be great, but I'm open to your ideas, I'm booking appointments now. See you there !!! I'll be attending this year's Ink-N-Iron event at the Queen Mary. 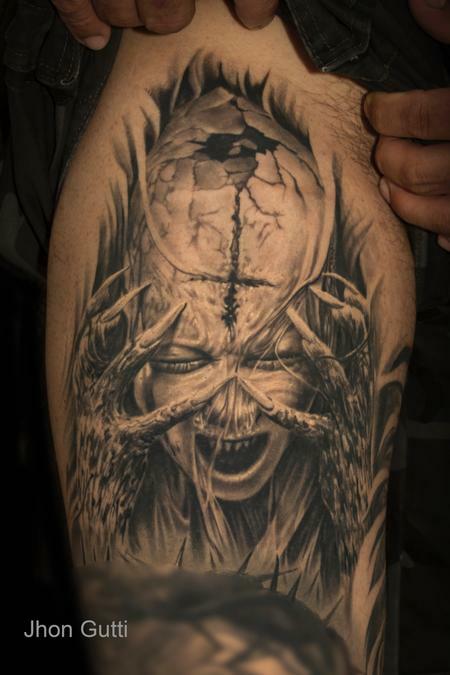 If you want to get tattooed on the event, don't hesitate in contacting me for any inquiry. I would love to do some realistic tattoos, animals or skulls would be great, but I'm open to your ideas, I'm booking appointments now. See you there !! !